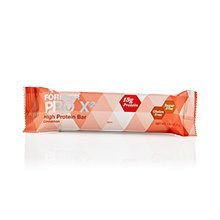 Forever PRO X2 is designed to provide additional protein to support a healthy weight management program, or for a delicious snack when we are on the go. It provides 15 g of high quality protein in a convenient, great-tasting bar. 15 g protein per bar. Delicious Cinnamon and Chocolate flavors. 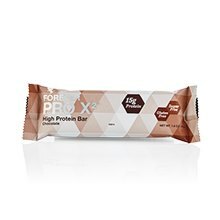 Forever PRO X2 provides the PRO X2 Proprietary Blend of Soy protein isolate and Whey protein isolate and concentrate, along with 2 grams of dietary fiber , in each delicious bar to help build muscle and achieve your weight management goals. Experts now find that adequate protein intake plays an important role in a healthy weight management program, when combined with a sensible diet and regular exercise. Protein helps to make you feel full, thereby helping to control appetite so you don't overindulge at your next meal or reach for high-calorie, carbohydrate laden snacks. In addition, since lean muscle is more metabolically active than fat tissue, supporting lean body mass through adequate protein consumption can help support metabolism and therefore weight management. In addition to its role in curbing appetite, protein is essential for building muscle, especially as you increase exercise intensity. Some may worry that a combination of dieting and rigorous exercise may cause a loss of muscle mass. Since protein is the building block for muscle tissue, ensuring adequate protein intake can help to protect against muscle loss due to diet and exercise while on a healthy, weight management program. Quality protein helps you build and retain lean muscle tissue, reduce recovery time after workouts, and improve muscle fitness through exercise. In addition, increased protein intake, along with resistance exercise, can help to support muscle mass as we age. Soy protein and whey protein are high-quality proteins well-researched for their benefits in building and supporting muscle tissues. 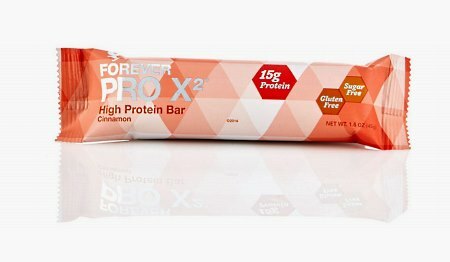 Forever PRO X2 bars come in two delicious, gluten-free flavors, Cinnamon and Chocolate, each a great way to help us increase our protein intake every day. 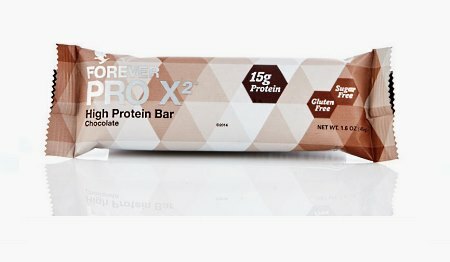 Forever PRO X2 bars can be consumed as a between meal snack to help control appetite and cravings. They can be used as an additional source of protein before or post-workout. They are great choices as a morning snack or part of a breakfast meal for a boost of protein to start the day. They can also be used as a delicious, healthy snack to provide extra protein anytime of the day. Both Forever PRO X2 flavors contain Milk and Soy and they are manufactured in a plant that processes milk, soy, wheat, egg, peanut and tree nut products.